The experience of owning jewellery and choosing what to adorn oneself with is quite personal to each woman/man and is an important part of dressing up. 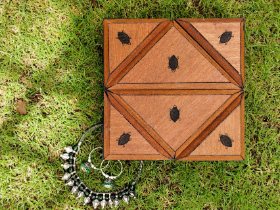 In this project I have designed tesselating jewellery boxes for the Luxury Jewellery brand Amrapali. As Amrapali is a renowned brand, the frequent buyers have a lot of Amrapali boxes which store the Jewellery. In order to enhance this experience of storing Jewellery of a particular brand and removing problems of storage of different boxes of different shapes and sizes, using tesselating boxes would be ideal. Jewellery bought from the store would be packaged in these multi utility boxes. There are three main sizes, each of which fit against another box, making it easy to interchange and lock boxes together. There are intrusions and extrusions as a positive and negative locking system which enable quick and safe attachment of boxes. Also, there are magnets placed inside each face of the box, which helps in easy fixing and doesn't require the user to think a lot or waste time to make his/her personal tessellations. 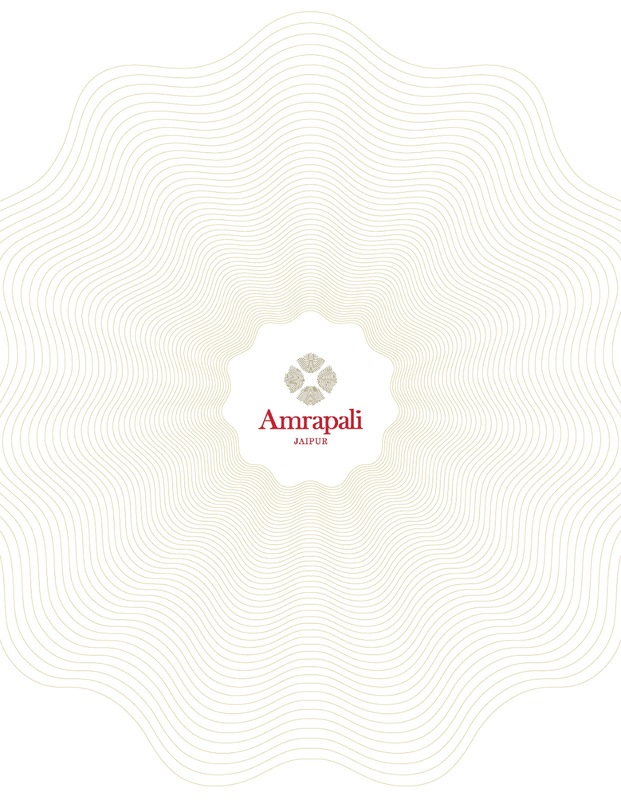 Along with utility, this packaging also ensures that the brand identity of Amrapali is instilled in the user due to the surface graphics and unique packaging. The uniqueness of this packaging lies in the ability of personalisation. Depending on the box in which the user gets his/her jewellery and the size of that box, the user can customize his/her jewellery set. 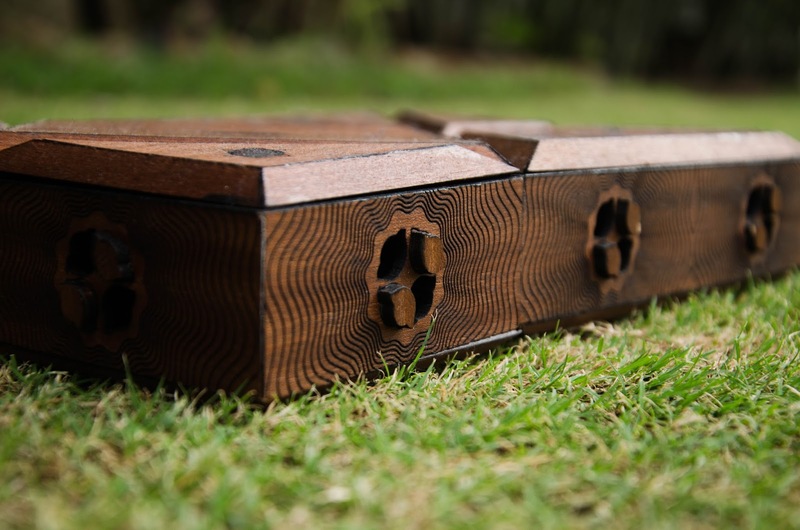 With its handcrafted aesthetic appeal, it would look good on a dressing table. 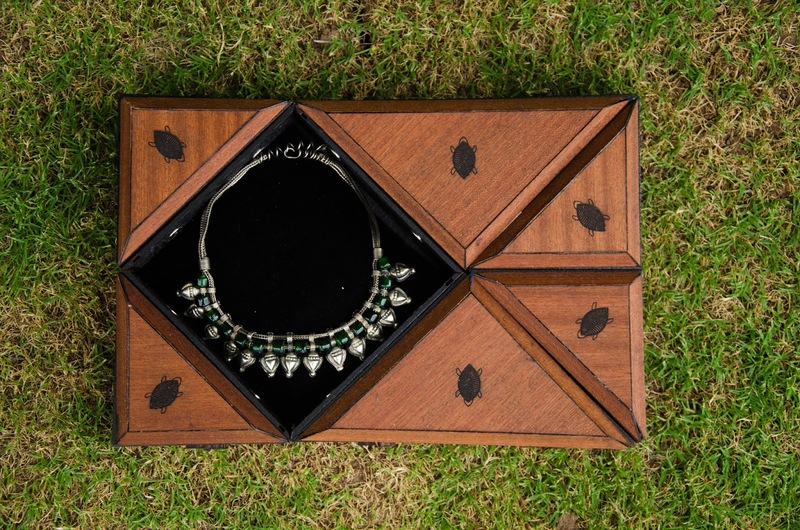 Each Amrapali customer would take one box home and add it to their own collection to make it even more unique!